Ever wonder what your dream job entails, how much you have to know, or what experience you need to get started? Role Call is a series on RF Globalnet that will explore each of these topics with a “peek behind the curtain” at different jobs and career paths in the RF and microwave industry. Our most recent subject is Trushal Vijaykumar Chokshi, the Principal Systems Design Engineer at SiTime. 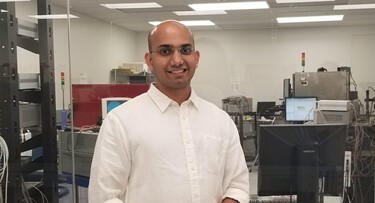 Trushal specializes in the development of high-throughput systems for micro-electro mechanical systems (MEMS) resonators and oscillators, relying on a background in physics and electrical engineering with a focus on MEMS and analog circuits. What does your position as a principal systems design engineer currently entail? In this role, my responsibility entails architecting and developing high-throughput systems for validating and characterizing SiTime’s MEMS resonators and oscillators. Beyond this, I get the opportunity to lead a team, as well as individually contribute, towards the productization of MEMS timing devices. The work is cross-functional and requires coordination with several engineering and marketing groups worldwide at different phases of the product development cycle. What education/certifications are required for this position, and what are the continuing education/certification requirements? A good foundation in the field of physics, and mechanical engineering or electrical engineering, is desired for this role. Strong fundamentals about the physics of MEMS devices and analog circuits, along with system-level hardware and software design skill sets, are essential, as well. Designing innovative solutions requires one to [have up-to-date knowledge of] state-of-art systems on a chip (SoCs) in the market. Thus, continued education in the field of embedded systems design is very valuable. Did any previous positions help prepare you for your current role? If so, how? I feel that my educational background in the field of physics and electrical engineering, with a focus on MEMS and analog circuits, during my Ph.D. helped me to serve this role. My thesis focused on the research and development of MEMS devices and high-throughput systems for imaging the nervous system in biological organisms. As part of this work, I also got experience in image processing, embedded systems, and statistics. While the target application at SiTime is different from my research work, the knowledge and skill set essential for this role are similar to that acquired during my Ph.D.
What experience did you need for your position? How long did it take you to reach the skill level that you are at now? Experience with MEMS, analog circuits, and systems design is essential for this role. Further, as SiTime [produces] solutions for the high-end timing market, this role necessitates knowledge about designing test methodologies for precision measurements of timing parameters (phase noise, jitter, Allan deviation, etc.). Performing such high-precision measurements requires experience with the state-of-art test instrumentation, and my learnings over the past five years has helped me with this task. What types of things did you need to learn on the job? While I was familiar with analog electronics and MEMS, I did not have much experience in the design of various mixed-signal modules (oscillators, frac-N PLLs, sigma-delta modulators) that are utilized in our products. I learned their design and operating principles on the job. Designing test infrastructure involves embedded systems knowledge, which I also learned on the job. Beyond the technical aspects, I get the opportunity to interact with customers in coordination with the sales team, and this is an ongoing learning process that improves with each additional interaction. What does a typical day in your position look like? Depending on the phase of the product development cycle, activities for the day span the following: designing/simulating circuits for prototyping new test methodologies; writing software tools for system automation, data acquisition and analysis; programming embedded systems; review and guide characterization efforts for upcoming products; work with the operation and customer engineering teams for resolving customers’ concerns; coordinate with marketing and sales teams to chart out product sampling plans, and engage with customers to discover new applications of our technology. What are the biggest personal/professional challenges that your work presents for you? As we innovate our technology for new applications, one of the most challenging aspects of the design is to understand and mitigate the effects of environmental stress on the device. This requires a very cross-functional team with expertise in material science, thermal engineering, and package design. We also face the challenge of developing test methodologies to verify the performance specs of our next-generation technology that are, indeed, close to the noise floors of standard measurement instruments. Achieving high precision and high throughput simultaneously while measuring key timing parameters is analogous to Heisenberg’s uncertainty principle, and is an ongoing challenge that I like to solve in my role. What specifically drew you to this career path? I enjoy employing fundamental math, physics, and electronics design principles to build things, which I picked up originally from my father, and then from my research advisor. Post-graduation, I was looking forward to applying my knowledge and research experience in MEMS and analog circuits to create impactful technologies. To this end, I am fortunate to be employed by SiTime, as it utilizes both MEMS and analog circuits to provide solutions for the electronic timing market. What is your favorite part of your occupation? To date, SiTime has shipped over 1 billion MEMS resonators, and all of these are tested using the infrastructure that I have had the opportunity to design and build with my team. This is very rewarding. Brainstorming design ideas with the team, implementing them, and driving them to success brings [me] joy. Building hardware prototypes to showcase the potential of our MEMS technology is another aspect that I love to get involved in. Our products are essentially a system formed by various mixed-signal modules. Understanding the functionality of these modules and interaction between them, across fabrication processes and environmental conditions, is very intriguing. Analyzing and finding patterns in the performance datasets, as well as developing the optimal device configuration to meet customer requirements, is interesting, as well. When designing test systems to guarantee a component’s performance, what programs do you use and why? Are there any other tools, equipment, or programs that you use in this design process? LTspice is frequently used for designing and simulating circuits used on the test board. This program is relatively easy to use and provides device models for many commonly used IC’s. In addition to that, I find it best to prototype circuits by hacking components together in the lab or by building quick-turn PCBs. EDA tools like KiCad and Eagle are very useful in the design process. What would be on your “wish list” for technologies, services, or resources that could improve your job performance — or make your work easier — and why? Resources that can help to simulate the entire circuit architecture of the system can greatly improve the design process. To this end, I would like to have accurate circuit models for all ICs available in the market, which can be easily imported to commonly used circuit simulators. Further, there are issues while importing circuit schematics between different PCB design tools. This limitation unnecessarily increases design time, as engineers using different design tools cannot share their work. To this end, open source plugins that can help to translate between different design tools would be very helpful. We all have interests that are separate from work. What hobbies or other interests do you have outside the office? I like biking and love playing racket sports, with racquetball and squash being my favorite. At SiTime, we have personal-trainer assisted fitness and yoga classes, which I enjoy going to, as well. Apart from that, I enjoy learning math and music. What advice would you give to an individual just starting out in this field, both in terms of component design and professional development? I would recommend being hands-on in the lab and develop the art of hacking components together to prototype design ideas. Apart from aiding the proof-of-concept, this helps in understanding and verifying component datasheet parameters at the desired operating conditions, and thus avoids design re-spins. Further, continuing education in the field of embedded systems (FPGA’s, microprocessors, SoCs, etc.) and experience in programming them is very valuable. Overall, desire to learn and understand the fundamentals [is an] essential quality for anyone starting out in this field. If you would like to know what a day in your RF dream job looks like, or you just want to discuss a job you’re passionate about, contact the author at mstonefield@vertmarkets.com with story suggestions, or to volunteer as a Q&A subject. 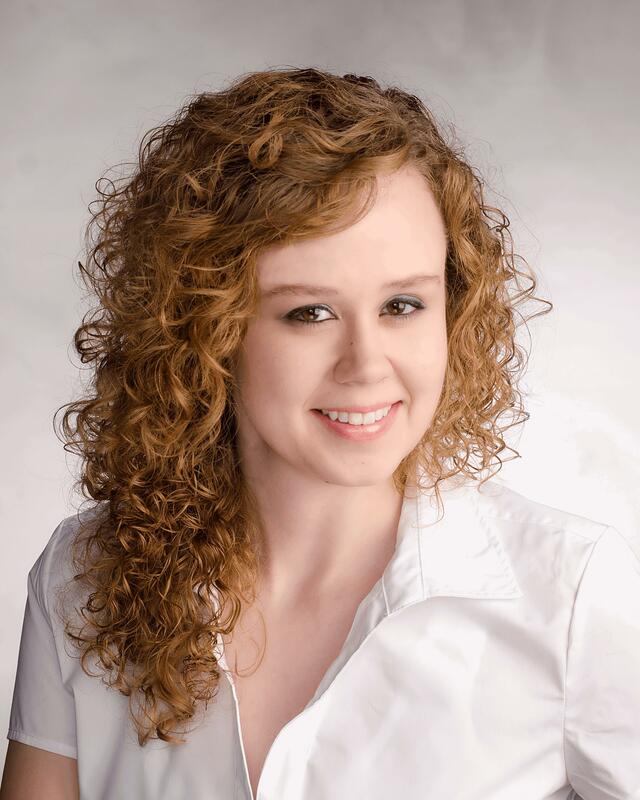 Marissa Stonefield is a Web Content Specialist for Photonics Online, RF Globalnet, and Med Device Online. She graduated from Messiah College with a B.A. in marketing, and from the Community College of Beaver County with an A.B. in business administration. She has previously worked as a content writer for Vanko Trading Inc., and as a journalist for Examiner.com, and Weddings Year Round Magazine in Lancaster, Pa.